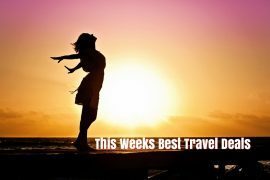 In my best travel deals this week I have a last minute deal to Sicily, summer holidays in Puerto Rico, Corfu and the Emirates; a luxury China and Japan cruise, the October bank holiday weekend in Krakow and an amazing early booking offer for New York. Explore the Italian island of Sicily this weekend with is amazing deal from Sunway. Fly from Dublin on the 6th of May and enjoy a seven night stay in the basic but highly rated Carmen apartments from only €264 per person. Price includes flights, accommodation and checked baggage. Enjoy a week at one of the most highly rated apartments in Puerto Rico, the Terrazamar Suites. Fly from Dublin on the 8th of June and enjoy a seven night stay for only €374 per person including flights, transfers and checked baggage. Choose the road less travelled and opt for a five night luxury all-inclusive stay in the Emirates of Ras Al Khaimah or Fujairah from only €829! Price includes flights, transfers and five star accommodation on an all-inclusive basis. Visit China and Japan on this once in a lifetime cruise offer. On one date only, the 11th of June, you can spend 10 days on one of the worlds’ largest cruise ships, Royal Caribbean’s Quantum of the Seas, from only €1299! Price includes flights, 1 night pre cruise in Shanghai and a 9 night cruise. Upgrade to a balcony cabin for an additional €100! Enjoy a week in the popular Loulas Village apartments in Corfu on the 4th of August. A firm favourite with Irish holiday makers for years, this is a great choice for a family holiday. Price for flights, accommodation, transfers and checked baggage is only €1699 based on 2 adults and 2 children sharing. For more info on my family trip to Corfu read my blog. Spend the October bank holiday weekend in Krakow. Explore the old town and the Jewish quarter and enjoy the live music venues that Krakow is renowned for. Fly from Dublin on Friday the 27th of October and enjoy a three night stay at the highly rated Wyspianski Hotel for only €338 per person. See New York properly with this amazing six night trip next January or February. Stay at the centrally located 4* Row hotel and get a FREE Explorer pass which gives you admissions to your choice of 3 top city attractions. 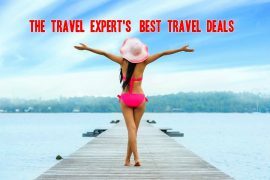 Price including flights, airport transfers, 2 x 20kg checked bags, prebooked seats, inflight meals and a six night hotel stay is only €875 per person! Deposit of €100 secures a booking and you can pay with instalments. Too early to talk about Christmas presents?? Prices are correct at time of issue but are subject to change. Note that some links above are affiliate links where I receive a small commission if a booking is made. Next articleOctober Bank Holiday Weekend in Krakow, Flights & Hotel, 3 Nights €363!